Welcome to the October issue of The Voice of Volunteering. Nominate online, download and print a copy of the form or phone 02 9261 3600 for a hard copy. Don't forget you can now complete your nomination in multiple sittings online. Remember EVERY volunteer nominated is recognised at the regional ceremonies with a certificate and celebration. The regional judging process was completed on Wednesday 18 September and ceremonies are now well under way until the last regional ceremony to be held on 8 November. We'd like to thank the judges of the Awards for their time and effort in assessing each and every nomination, and to regional clubs and volunteer centres who have hosted the award ceremonies. The winners of the regional awards will be invited to Sydney for the state awards on 5th December. A big thank you to ClubsNSW for their support of the 2013 NSW Volunteer of the Year Awards. The Volunteer Referral Service Team would like to thank all our members for asking us to assist them to recruit volunteers for such a variety and interesting Volunteer Roles during the year and assure them that we are doing our best to find suitable volunteers for these positions. We would just like to remind all our member organisations that the Volunteer Referral Service closes for three weeks at Christmas from mid December to early January, the exact closure dates will be on our website shortly. We are happy to keep volunteer roles open over the Christmas period and advertise them on the various websites as it is traditionally a time of year when the public has the time to consider volunteering and many first time volunteers contact us at this time of year. We advise all applicants during this period that we are closed and undertake to contact them in early January. If, however, your contact for volunteer roles will be away for an extended period please advise the Volunteer Referral Service admin@volunteering.com.au and we will make a note of this so we can advise potential volunteers, or alternatively, you may wish to temporarily suspend your volunteer role if that is preferable. On Friday 25 August 2013 The Centre for Volunteering’s Youth Volunteering team and representatives of local Not-for-Profit organisations participated in an Intro to Volunteering Seminar at St Augustine’s College in Brookvale NSW. Introduce the Year 10 students to the notion of formal volunteering, outline the variety of ways they can contribute to an organisation and to their community by volunteering, make them aware of the rights and responsibilities of volunteers and organisations, as well as the benefits of volunteering for all involved. Prepare the students for their four day Service Week which they will be doing as part of their Service Education Awareness (SEA) Program. Open the students to people, issues and situations in their community of which they may previously have not been aware. Share with the students a deeper understanding of the positive contribution they can make to the lives of others and to their community. 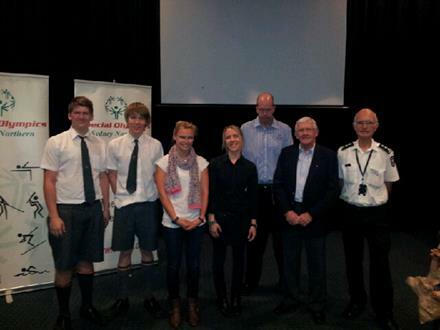 A very big thank you to Sophie from Northern Beaches Interchange, Rex and Garth from Special Olympics NSW, and Ian from St John’s First Aid for sharing their volunteering stories, experiences and insights. Thank you to Kate and Students Tim and Matt (pictured) and all the boys at St Augustine’s for their warm welcome, and to Lauren, our fantastic volunteer here at The Centre for Volunteering for helping organise this event. The dissemination of research and best practice in youth volunteering. Promote community awareness and educate students about volunteering. Encourage an ongoing commitment to community participation through volunteering. Create a bridge between educational facilities, their students and the volunteering sector. For more info please email youth@volunteering.com.au or call 02 9261 3600 on Mondays or Wednesdays to talk to someone in the Youth Volunteering team. On Friday 18 October The Centre for Volunteering’s Youth Volunteering team, along with the School of Volunteer Management, presented at the 2013 Careers Advisers Association of NSW & ACT Annual Conference at Cockle Bay Wharf in Sydney. As The Centre receives regularly enquiries from teachers and career advisors looking for support in the area of student volunteering, the presentation focused on providing attendees with important background information about volunteering in the Not-for-Profit (NFP) sector, a discussion of the benefits of volunteering for the students, some success factors for student volunteering, and information about the Certificate in Active Volunteering (CAV) that since the beginning of the year is Board of Study endorsed. The beauty of student volunteering is that it gives students a broader understanding of society, allows students to learn actively from their first hand experiences, use their skills and natural talents for the benefit of the community, network and meet all kinds of different and inspiring people, explore potentially rewarding career opportunities in the NFP sector, build self-worth and self-confidence, develop a sense of who they are in the world, and much more. Success factors for student volunteering include good communication between schools and NFP organisations, recruitment measures are in place to ensure a good match-up between students and NFP organisations, students take the time to think about what kind of volunteer work they would like to do and why, organisations have a positive attitude to young people as volunteers and provide challenging and meaningful tasks, students understand why they are doing particular volunteer tasks (the all-important context) and are prepared, keen and motivated to be involved. The Certificate of Active Volunteering (CAV) is a nationally recognised qualification, designed specifically for volunteers and in this case ideal for structuring, recognising and rewarding students’ volunteering. The CAV I includes units about being an effective volunteer, developing work priorities, participating in WHS processes, creating client relationships, and applying basic communication skills in the volunteer work context. A volunteer is sought for a long term two day a week role to assist with design and layout of a range of collateral and promotional materials such as posters, brochures, invitations and newsletters. You will have experience with AdobeCS6, print and online material, infographics and business graphics. Opportunity exists to work from home after an initial period. On Friday, 11 October Mark Tippett (Manager, School of Volunteer Management) was invited to Odyssey House McGrath Foundation’s General Meeting. These meetings are held each Friday and host not only the staff, but the clients as well. There were approximately 80 people in attendance. Mark gave a short talk on volunteering and congratulated those who undertook the program under the guidance of the PLC’s manager, Ted Foster. Mark was in attendance to round off a funded program with six level 4 graduates who undertook the Certificate II in Active Volunteering program. The program was delivered by on the job volunteering, distance learning and face-to-face group sessions. Two students completed by the due date, with another three finalising their workbooks and hopefully will soon be assessed and graduate. Both graduates not only soon receive their certificates, but on 27 October it is their graduation ceremony from the House’s program. 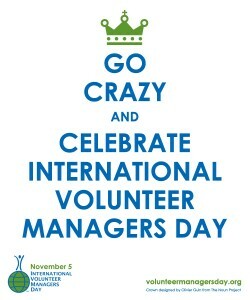 Everyone at The Centre for Volunteering wishes them well. Child-related workers and Volunteers in the following sectors’ are required to obtain and provide to their employer or organisation their Working With Children Check number by the 31 December, 2013. Adults who reside in the home of an authorised carer or family day care service provider or home-based education and care service provider. Failing in obtaining a Working With Children Check number by this deadline is a criminal offence and the maximum penalty is 100 penalty units (1 unit = $110), imprisonment for two years, or both. Application for the Check is a two-step process. Step one is electronically submitting an online form to get an application number. Step two is going to a NSW motor registry or NSW Council Agency with your application number to show proof of your identity. If you are in paid work, you will also need to pay an $80 application fee for a five year clearance. For help with the application process and a list of NSW Council Agencies, please read the FACT SHEET: How to apply. Once you have completed both steps, your employer can use your application number to verify your clearance status online – you do not need to wait until you receive your Working With Children Check number. If your online verification result is Cleared or Application in progress, you may begin working with children. You should allow four weeks to receive your Working With Children Check results, although many people receive their results within a few days of completing step two of the application process. The most common reasons for delays are set out in the FACT SHEET: When will I receive my results? A study conducted by Macquarie Graduate School of Management (MGSM) into the factors that contribute to participation in corporate volunteering finds that corporate volunteering improves employee satisfaction, retention and engagement. This research was undertaken as part of the MGSM Corporate Social Responsibility (CSR) Partnership Network, led by Dr Debbie Haski-Leventhal and sponsored by Johnson & Johnson Family of Companies. During November each year, Movember is responsible for the sprouting of moustaches on thousands of men’s faces in Australia and around the world. The aim of which is to raise vital funds and awareness for men’s health, specifically prostate cancer and men's mental health. 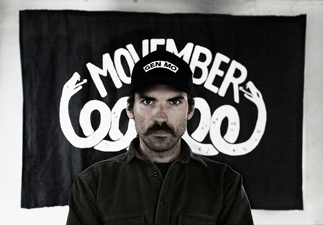 Registering at http://au.movember.com/get-involved/, guys then start November 1st with a clean-shaven face. Then for the entire month, these selfless and generous men known as Mo Bros, grow, groom, trim and wax their way into the annals of fine moustachery. You're invited to join your community at the Walk to Cure Diabetes. It's Australia's biggest event for those who share the hope for a better life for people with type 1 diabetes. The walk will be held at Parramatta Park, Sydney on 10 Nov 2013 10:30am. The 4km Walk will follow the path around Parramatta Park finishing in the Walk Village. The Walk is pram and wheelchair friendly and dogs on leashes are permitted. Join us after the Walk for lunch, jumping castle, petting zoo, face painting and loads of kids rides and activities. There will also be a raffle, arts and crafts corner and live entertainment. You can also share your thoughts on our Wall of Hope and meet some Diabetes Organisations.